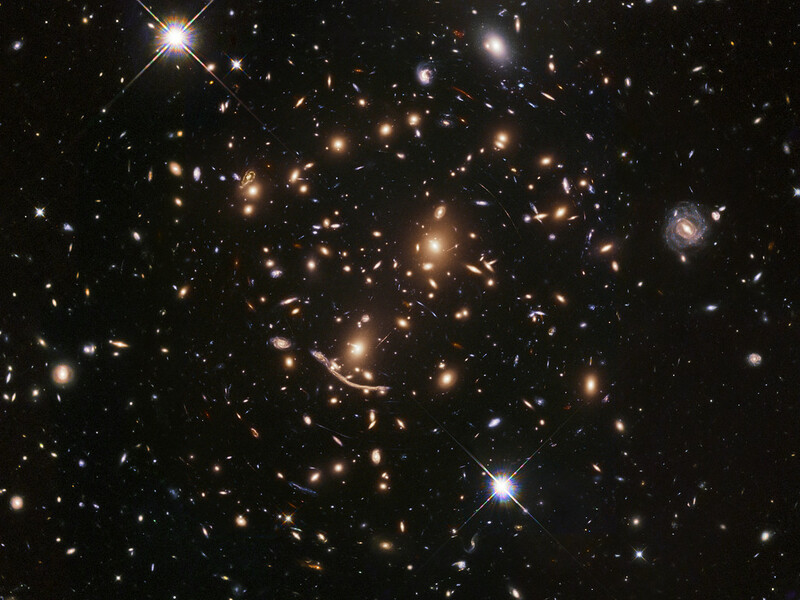 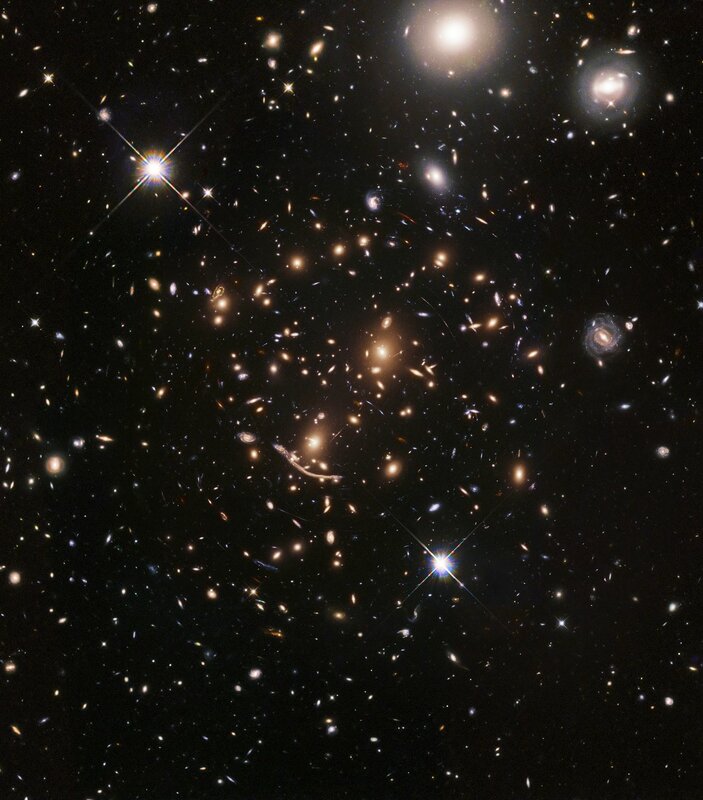 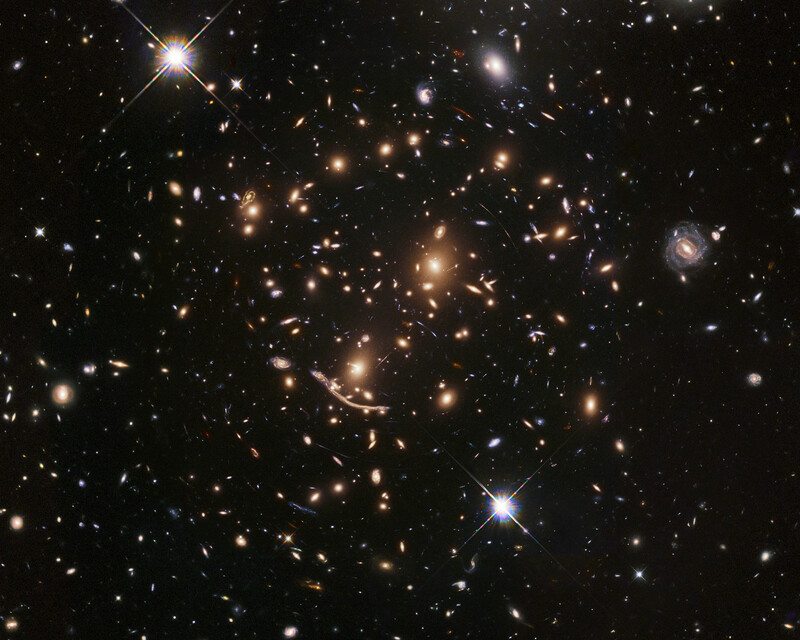 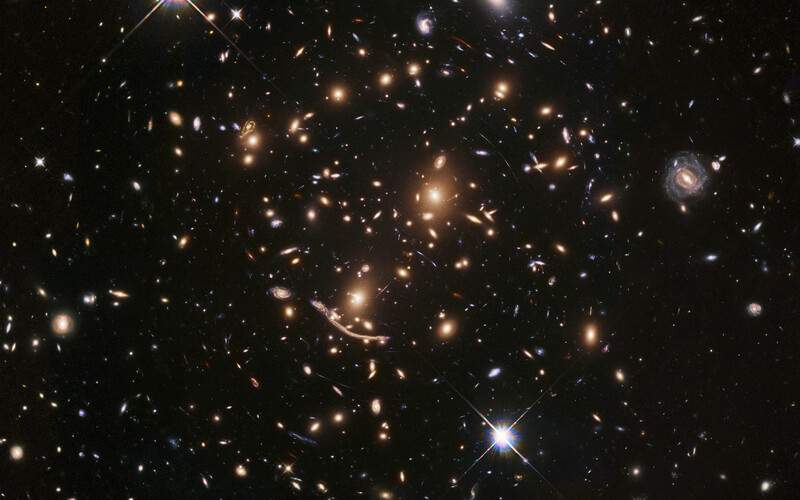 The most stunning demonstration of gravitational lensing can be seen just below the centre of the image. Nicknamed “the Dragon”, this extended feature is made up of a multitude of duplicated images of a spiral galaxy in the background of Abell 370 — all lying five billion light-years away. Position (Dec): -1° 34' 38.18"